Are you a business owner, homeowner or property manager looking for a reliable North Shore plumbing provider? JAB Plumbing Solutions is a well-established, family run business that has been providing services to North Shore customers for over a decade. Our team of North Shore plumbers are fully licensed and qualified to confidently assess all your plumbing needs. Our area of speciality is drainage and we have invested in the latest technology to clear blocked toilets, blocked sewers and blocked stormwater drains fast. Take a look at our recent customer reviews to see why North Shore residents choose JAB Plumbing Solutions for all their drainage needs. Our Plumber North Shore is easy to work with! Building long-term, genuine relationships with our North Shore customers is at the core of our business. Unlike impersonal franchises, our North Shore plumbers continue to provide personalised and affordable plumbing services. Resolving your North Shore plumbing problem in an efficient and stress-free manner is our number one priority. Not only do we arrive on time, but we also take the time to listen to your concerns so that we can recommend targeted solutions that are right for you. Plumbing emergencies can happen at any time and cause significant stress for your and your family. Our North Shore plumbing team are here to help when you need us most. We are available 24 hours a day seven days a week to repair emergency plumbing issues as soon as they arise. Call our emergency plumber o the North Shore today on 1800 225 552. HOW CAN OUR NORTH Shore PLUMBER HELP? Drainage is our specialty and our North Shore plumbers are equipped to clear even the most stubborn blocked drains, including tree roots, grease and mineral buildups. We use the latest industry tools to guarantee fast and affordable results. Call our North Shore plumber on 1800 225 552 to see how we can help. Jet blasting is a fast, reliable and effective method for clearing most types of blocked drains including blockages in the underground sewer and stormwater drains. It uses highly-pressurised water with a nozzle attachment to completely flush pipes clean. Call 1800 225 552 to book our North Shore plumber. A blocked toilet is not only a huge inconvenience, it can also damage your property if raw sewerage spills out of plumbing fixtures. Protect your family by calling our North Shore plumber on 1800 225 552. We offer same-day blocked toilet repairs and 24 hour emergency assistance throughout the North Shore. When the unexpected happens, you can rely on JAB Plumbing Solutions. Our North Shore plumbers are on call 24/7 when you need them most. If you're experiencing sewerage backup, a blocked toilet or a flooding stormwater drain call our North Shore emergency plumbing team on 1800 225 552. 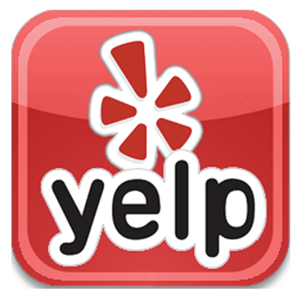 If you were happy with our North Shore plumber we would love for you to leave us a review. We constantly strive to exceed customer expectations and all feedback is appreciated. Simply click on your preferred platform below.